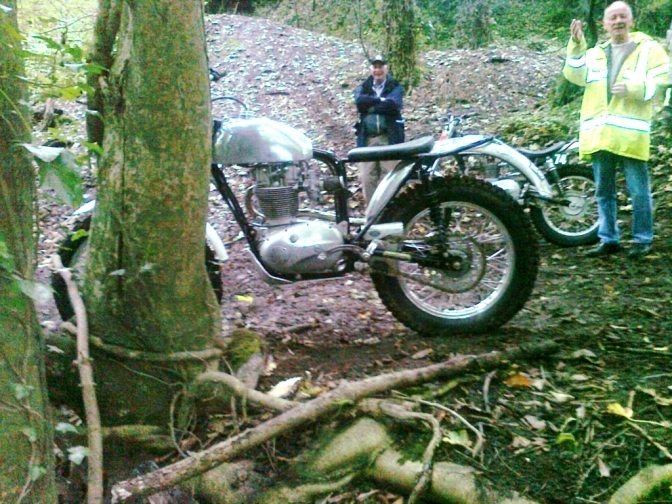 BSA and Triumph.Otters living and seen in the Isle-Of-Man. Being only a stones throw from the Emerald Isle! I feel the Lepricorns and the Fairies, were smiling upon me last week. I went to the IOM expecting to find a couple of BSA “Otters”, instead I recon there were at least Nine on the island owned and run by the fellas there. And every one of them so proud of there creation but also so humble at what they had achieved. 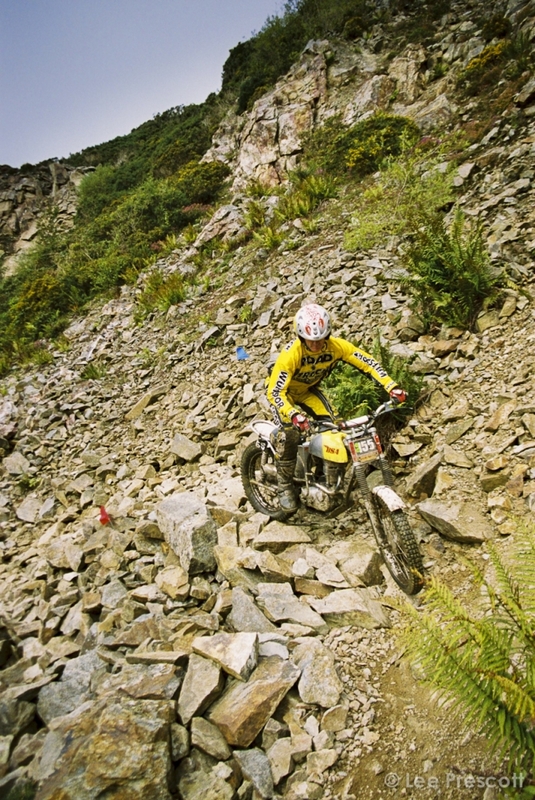 The first I spotted was at the front end of a huge entry for the Classic Manx two day trial. I was so overwhelmed by spotting a bike so early in the entry. That after taking a shot of the bike from one side with my Phone, taking a shot of the other side I promptly lost my footing, and did a barrel roll down the bank, clutching hold of the phone and still getting the shot, and amusing the galleried audience. This was Martyn Kissack’s Mk 3 Faber “Otter” B40. That he had just built. The response, from me falling down the bank,OK fellas. 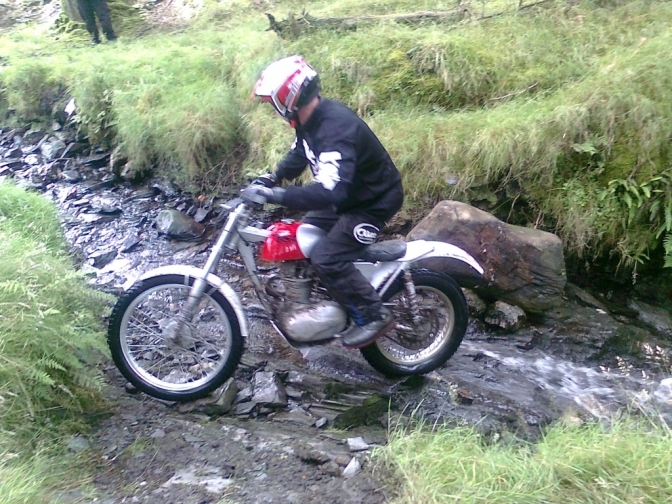 The next Manx “Otter” was as I later found out owned by Paul Ansermoz, better known as Mr Azzy paint in the IOM. This bike is very interesting? Well it has a modified rear sub frame that brings it a bit into line, like the Mike Mills frame that we currently have building. The conversion of the Mk2 Faber “Otter” frame brings the swinging arm closer to the main frame seat down tube, and does away with the sometimes vulnerable Faber swing arm box, that does have a tendency to foul the chain and also rub if there is not a nylon guide fitted. 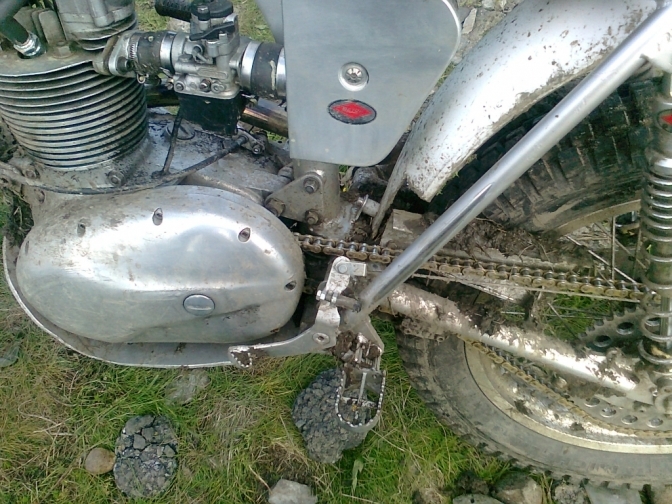 Paul tells me that he has got it slightly too close, and the swinging arm does pinch up on full compression. But the chain line is a lot better. 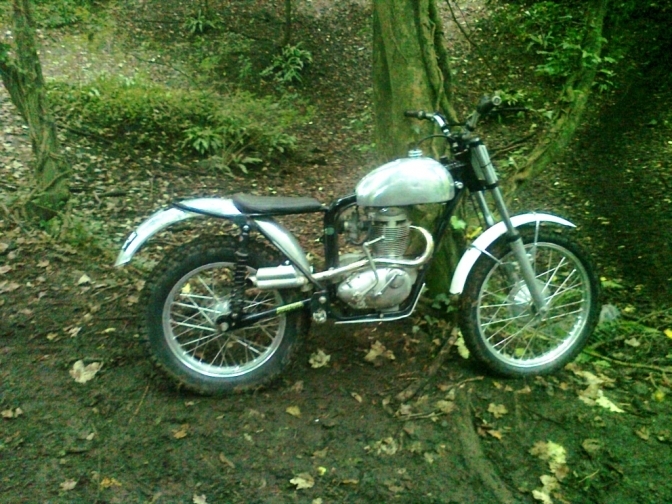 Pauls bike a (C15) sports a shaved down BSA B25 alloy barrel. 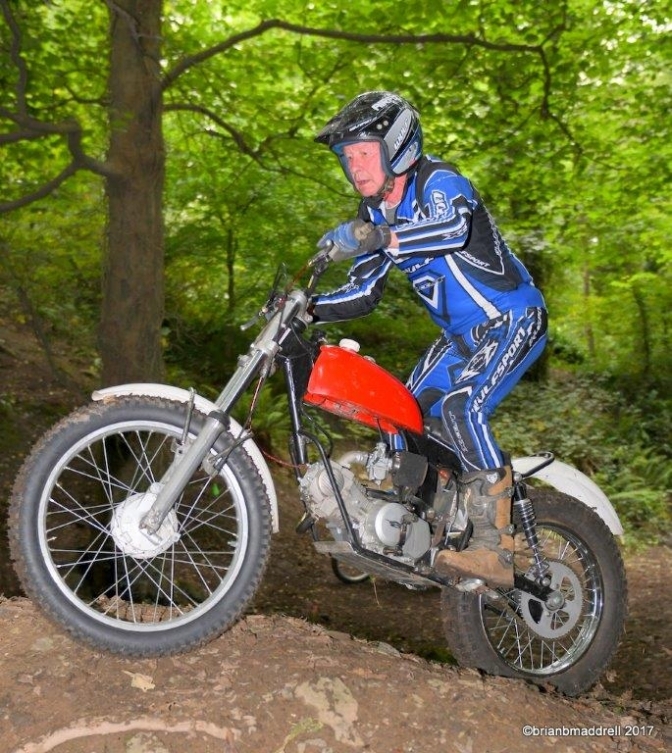 Paul says the power from the engine is just right and although he does not know what piston the bike uses, the motor pulls like a train and complements his riding stile, and is never too lively for any section. There is a bit more work he would like to do on the bike. Like bringing both wheels into line as the rear is slightly out and needs pulling over towards the chain a bit. The damping is spot on, as is the paint job has you would expect from someone who does a first class job on every body panel he sprays. Some of the other bikes I am still waiting for pictures and information on, and as soon as I get this I will publish both. And dont forget Stuart has two of my bikes there as well. 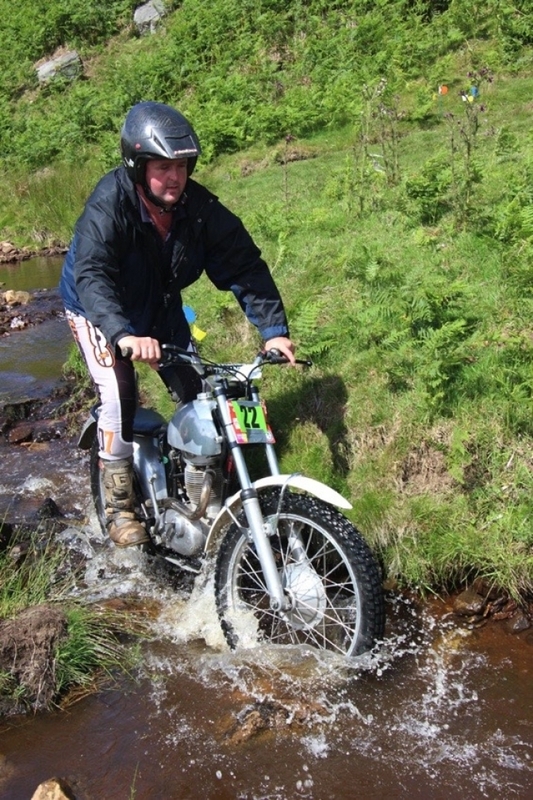 Here is a few pictures from the 2012 Classic Two Day Trial. If you look half way through the video,you can see that it is not a good idea to stand on the trials line ,that a Spaniard riding a BSA Otter has set for himself ,without letting you know. That was a good weekend though. 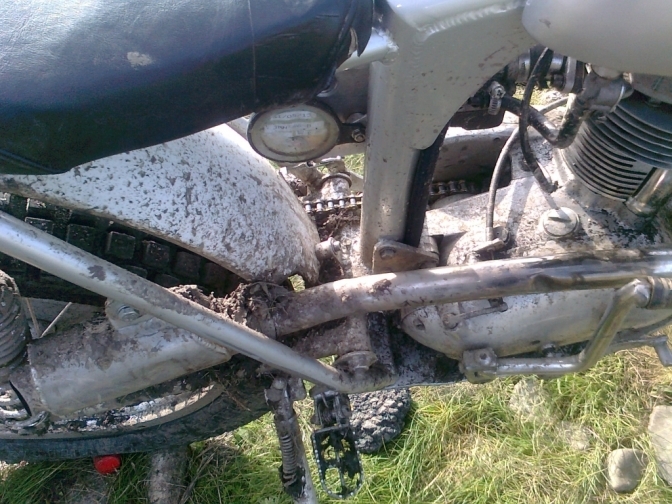 Although I landed on my rear twice taking pictures of BSA "Otters". 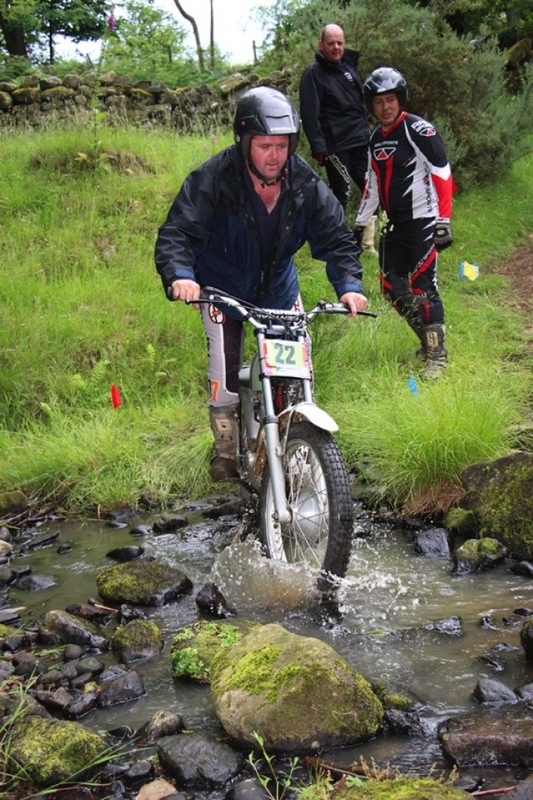 Here is a couple of shots of Martyn Kissack compeating in the 2015 Dales trial. Deryk Wylde for letting me use them and Jack Knoops for taking the shots. Nice shot from Jack Knoops. Lee "Ludwig" Granby and his passenger in the background watching the fun . 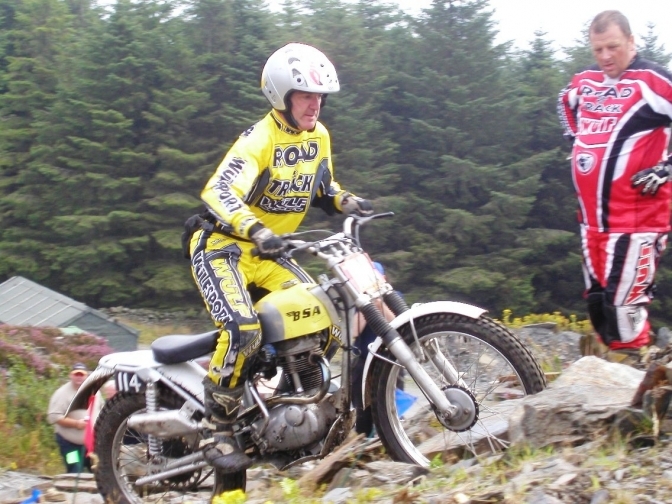 In the Manx Classic Trial , Of Jim Davidson riding his BSA Otter at the time . 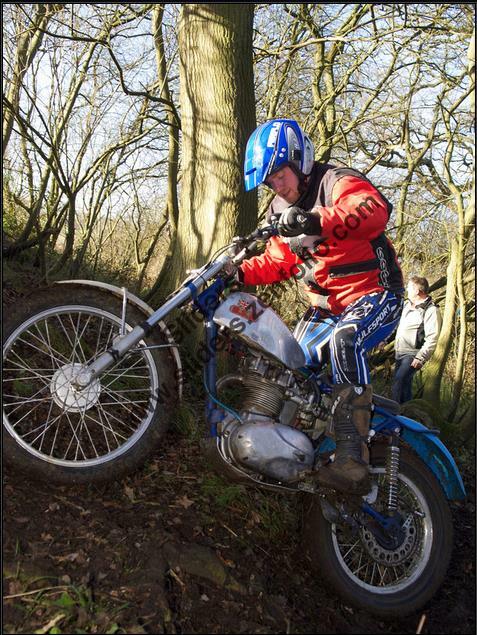 And another of Jim in the same trial in 2005? This machine now lives in the West Country I am told. Stuart Bedford on bsaotter.com C15T.